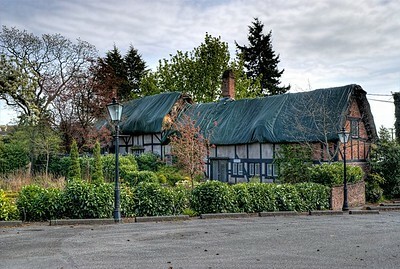 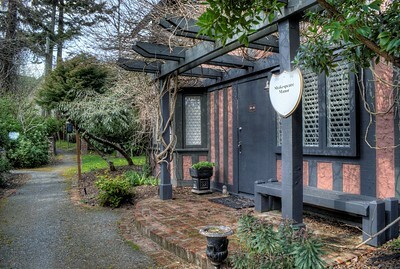 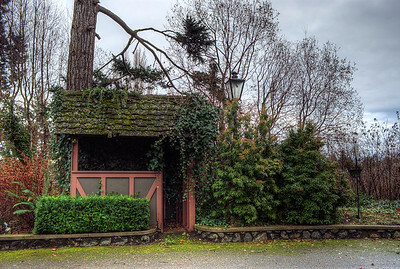 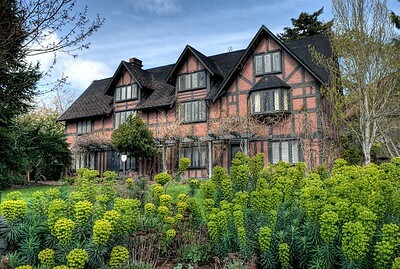 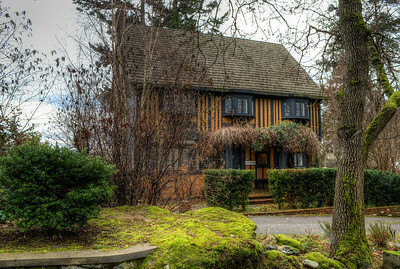 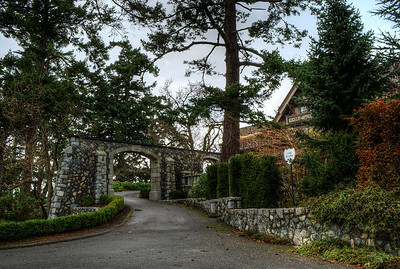 The English Inn in Victoria, BC, Canada is a heritage site sitting on 4.5 acres of beautiful gardens. 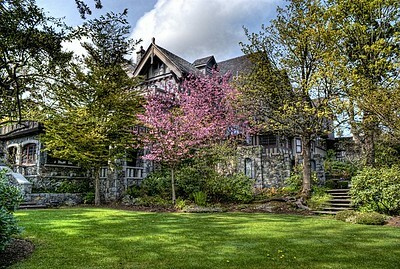 This site is famous for both elegant and private getaways as well as a wonderful venue for weddings. 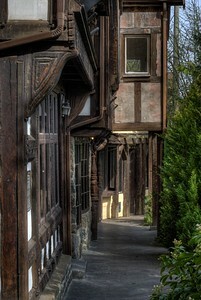 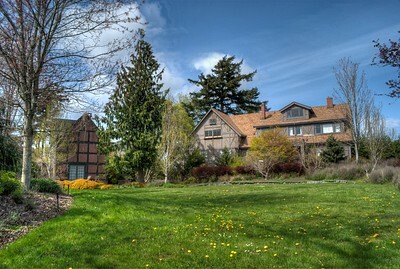 The facility features many Tudor style buildings, each hosting unique and wonderful rooms full of special character. 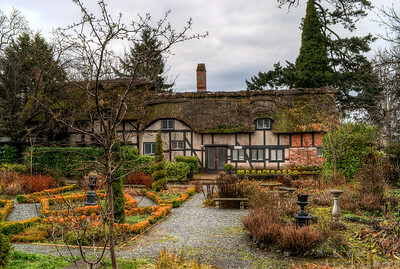 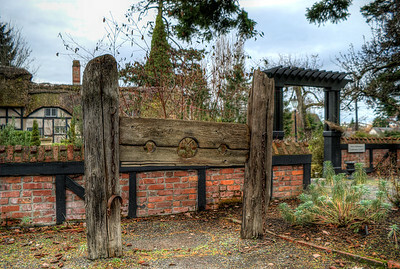 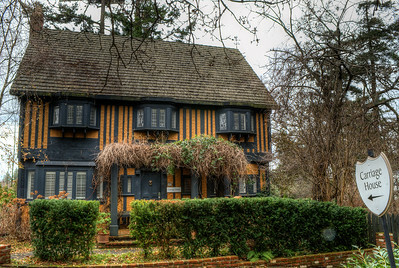 Anne Hathaway was William Shakespeares wife, and the English Inn facility has an exact replica of her childhood home, often referred to as "Anne Hathaways Cottage". 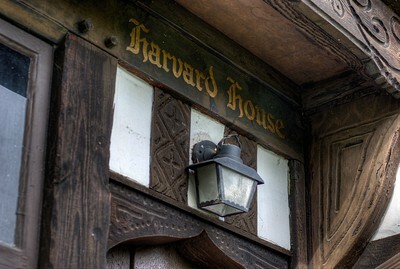 This term is slightly misleading in the context of this wonderful old home as it contains 12 fabulous rooms. 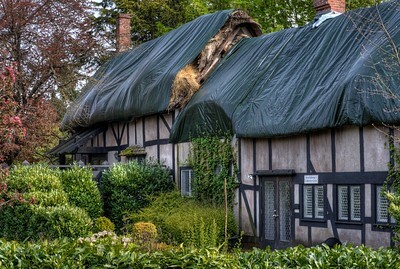 The original cottage was built in the 15th century and this replica is true to form inasmuch as the chimney has an authentic looking date stamped on it from the original times. 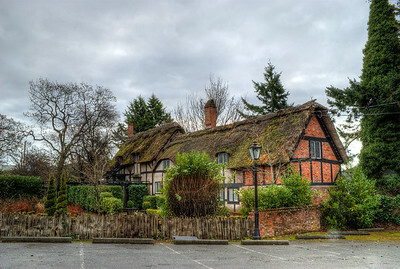 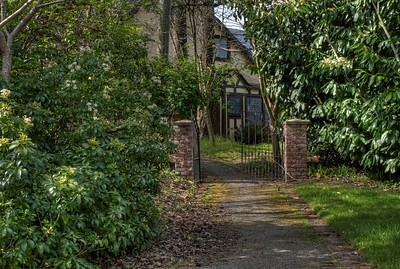 This particular shoot was undertook to capture images of the cottage and some surrounding buildings and landmarks. 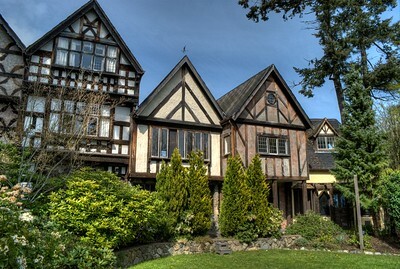 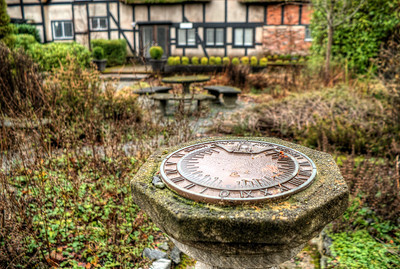 We fully plan on returning soon to capture more images, including the main Tudor style hotel and surrounding gardens. 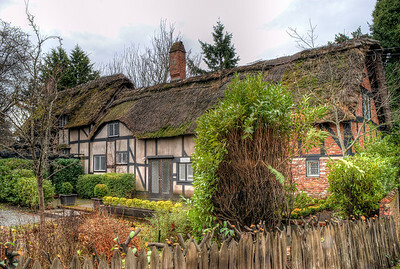 More information on Anne Hathaways Cottage can be found here on Wikipedia. 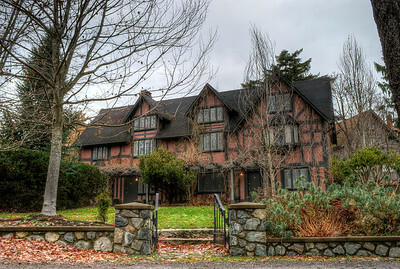 Further information on the English Inn & Resort can be found at their official website. 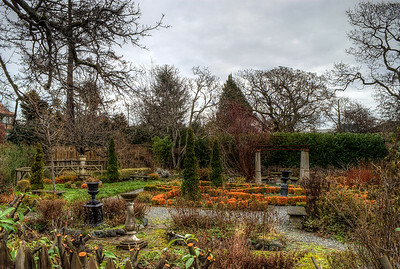 English Inn & Resort, Victoria, BC, Canada Visit our blog "Springtime At The Inn" for the story behind the photo. 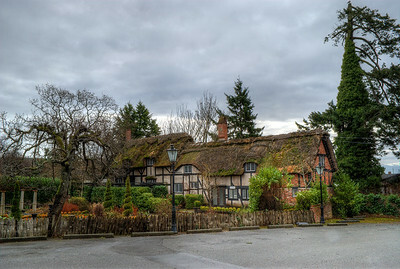 Anne Hathaways Cottage (Replica), English Inn & Resort, Victoria, BC, Canada Visit our blog "The Cottage’s Final Days" for the story behind the photo. 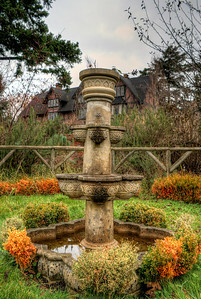 English Inn & Resort, Victoria, BC, Canada Visit our blog "A Cup Of Mead Before We Away" for the story behind the photo. 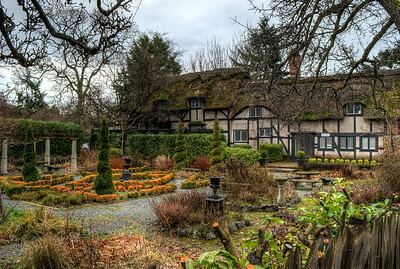 English Inn & Resort, Victoria, BC, Canada Visit our blog "The Cottage’s Final Days" for the story behind the photo.